Modern cameras are pretty good at getting the exposure right most of the time. Matrix and multi-zone metering systems can deliver great results in the most adverse conditions, but there will always be the odd occasion when either the camera gets it wrong, or you might prefer a lighter (or darker) result. Digital cameras also have a tendency to produce rather flat, grey results that can be quickly revitalized using a simple technique. Though not fully underexposed, it is slightly underexposed, and lacks the punch of the original scene, with flat color. Correcting – or adjusting – the exposure is simple. And because corrections such as this tend to be used extensively, you’ll find many image editors feature commands designed to fix this specific problem. Applying the Auto Enhance feature produces a brighter print with extra color saturation: just what you want. Auto Enhance won’t always delivered a good result, but there is an alternative – the same result can be achieved with ‘manual’ controls. The brightness control lets you adjust the overall brightness of the image from (virtually) black through to totally washed out. With more modest settings, you can brighten an underexposed image or hold back (or dim) an overexposed one. Using the contrast control lets you alter the distribution of tones within the image. Sliding the contrast control to the right increases the contrast, making brighter-than-average parts of the image even brighter, and darker parts even darker. Overall brightness and color saturation is unaffected. Image editors tend to have different ways of implementing quick-fix commands. In Photoshop, as befits this professional-level product, you can use the Auto Levels command. This automatically adjusts the spread and distribution of tonal levels within the image to deliver a better result. In many other applications you’ll find features such as Auto Enhance that work by altering the brightness, contrast and saturation of the image so that it reflects an average value for the image. 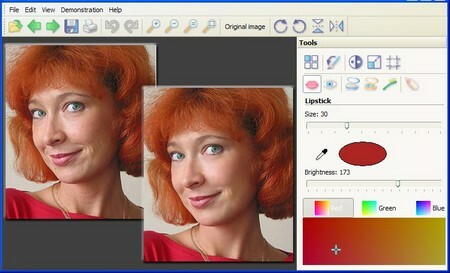 Sometimes called the Color control, the Saturation control adjusts the strength of the colors in the image, but does not affect the tones (blacks, whites and greys). At its minimum setting (with the saturation at zero) you get a greyscale image. At full saturation, colors in the image become fully saturated and (for most purposes) too bright and garish. It’s unlikely that any one of the controls just described will deliver an improved image on its own. You’ll need to manipulate all three. Ultimately, you’ll find that you can achieve more effective (as well as more controlled) results using these manual features in preference to any Auto Enhance control.